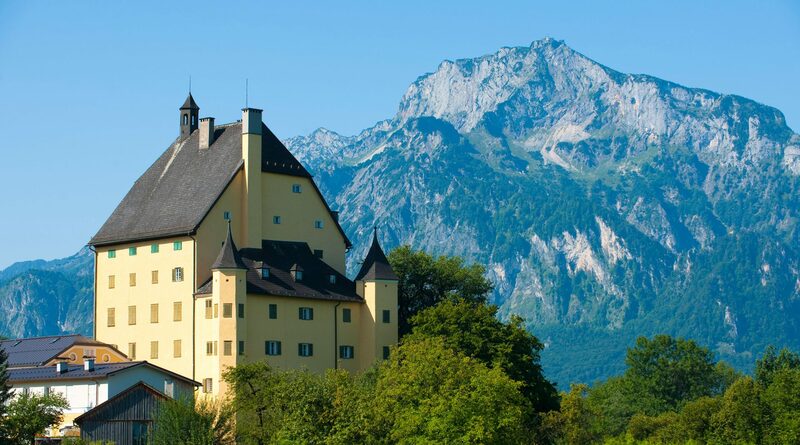 At the foot of the Gaisberg Mountain, with its visible radio mast on the 1,300m peak, and bordering directly onto the city of Salzburg is the municipality of Elsbethen. The small municipality of Elsbethen is located between the Salzach River on one side and the Gaisberg on the other side. Moreover, it borders directly onto Salzburg. It doesn’t need more to make Elsbethen an attractive holiday resort. Further interesting info: in the local girls’ school of Castle Goldenstein Romy Schneider sat on the school benches. For those who want to learn a little more about the place, there are numerous exhibits of fossils in the Pulvertum Museum from prehistoric times up to the modern day. Additionally, worth seeing is the “Village Road” in the Museum, in which former local handicraft companies can be experienced, such as about a grocer, a bookbinder and an old classroom. The Gaisberg is the ideal terrain for active sporty types. Ideal whether for mountain biking, hiking or paragliding in summer or for skiing, snow-shoeing or cross-country skiing in winter. Insider’s Tip: No matter whether after sport or just because – you can find the best Kasnocken at Gasthof Mitteregg halfway up to the peak of the Gaisberg in the Oberwinkel area. The Glasenbach Gorge is geologically very interesting with its fossil finds, such as the ichthyosaurus, which is exhibited in the House of Nature. Both exciting and varied are also the Dry Gorges for exploration. Different to the Glasenbach Gorge, the fissures and columns of the Dry Gorge were formed by the force of the water which broke down the mountain over 10,000 years ago.